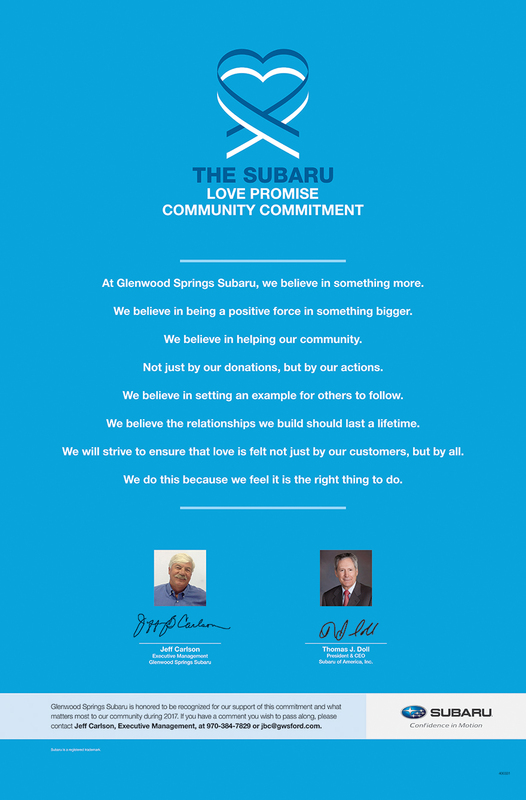 How is Glenwood Springs Subaru dedicated locally to the Love Promise? 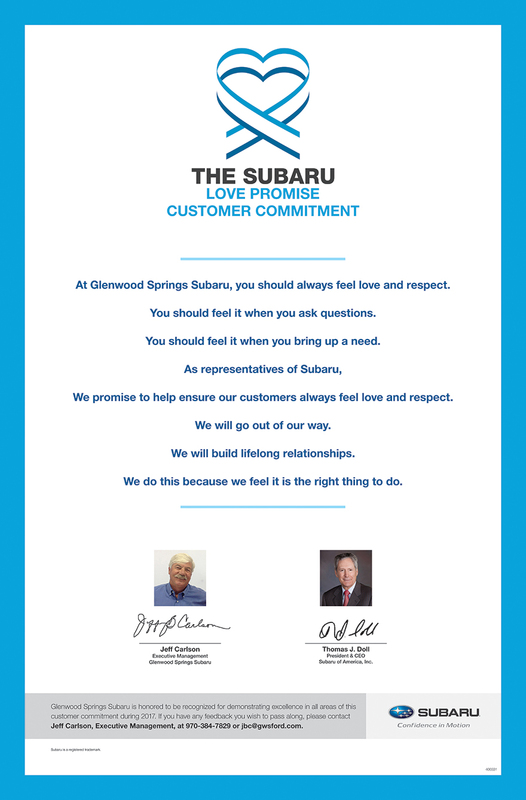 Did Glenwood Springs Subaru go above and beyond, provide exceptional service, or support causes that are important to you? We'd love to hear about it. 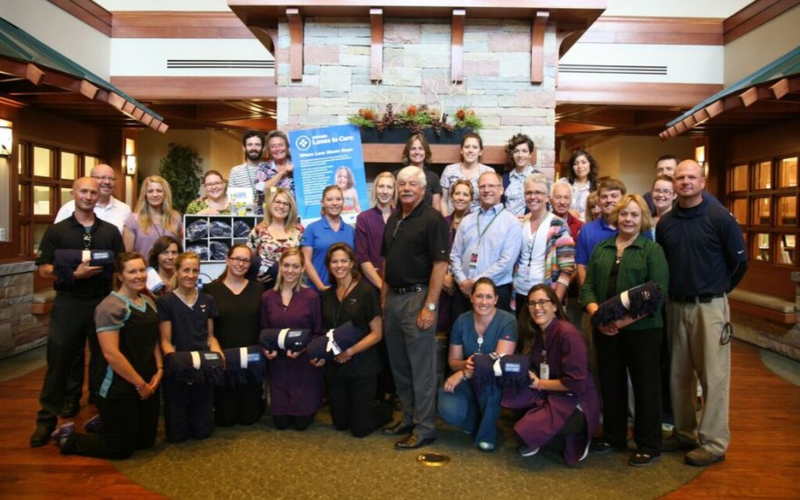 Glenwood Springs Subaru, in partnership with the Leukemia and Lymphoma Society, participated in a “Share the Love” campaign to help blood cancer patients at Valley View Hospital. Team members from Subaru, LLS and Valley View Hospital donated 80 warm, fuzzy blankets with care cards and messages of hope from the community. They also delivered 10 care kits to younger patients so the children could draw, do crafts and break away from hospital life. The program is a great way for LLS and Subaru to connect with local hospitals and help blood cancer patients. “It was a rewarding experience to be able to brighten the patients’ day and wrap them in love by providing the Subaru blankets! The cancer journey is tough, so to lift their spirits is a wonderful feeling,” LLS Sr. Campaign Director Beth Muehlethaler said. 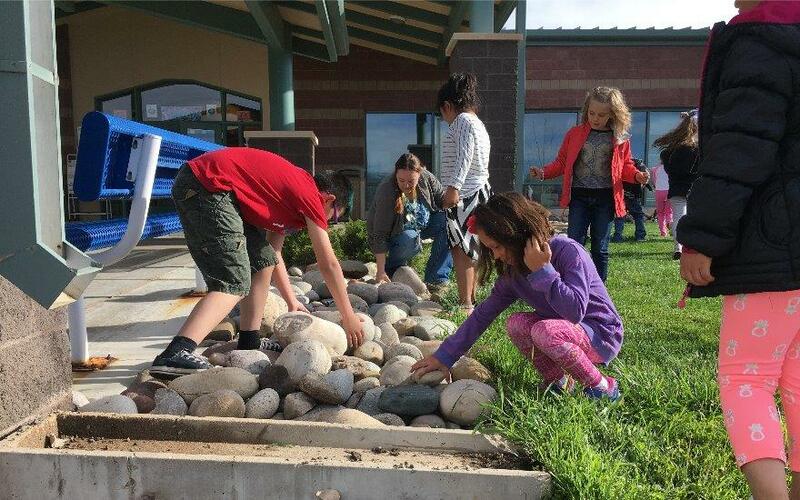 I am the 1st Grade teacher at Highland and the students spent time clearing the area at the front of the building earlier this summer to make way for the garden. Rifle Animal Shelter is a small, non-profit, animal shelter in rural western Colorado. Our facility is a fifty year old building that is just under 1,200 square feet, the facility is falling down around us. Each year we are able to adopt out in to our community, around 1,200 animals and we aren't stopping there. 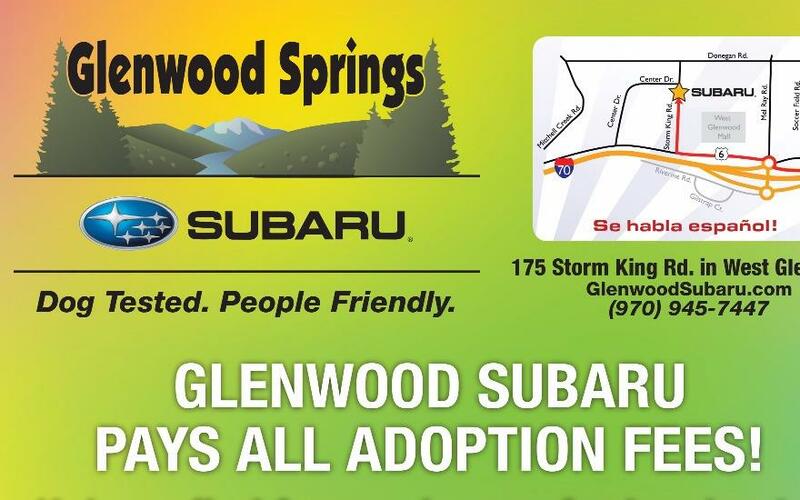 Glenwood Springs Subaru hosts an adoption event each year and invites Rifle Animal Shelter, as well as surrounding animal rescues, to an Adopt-A-Thon. At this event Subaru pays every adoption fee, meaning people who are looking to rescue an animal can do so, free of charge. To our very small facility this makes a large difference in our capability. This year at the event, we took a total of twelve dogs and adopted out nine of them! 2017 held our largest number of adoptions to date! We were then able to transfer in more animals for adoption and save many more lives. This event is our largest adoption event of the year and we look forward to it each spring. Thank you Glenwood Springs Subaru for making such a dramatic difference in the lives of homeless animals, you make the difference! 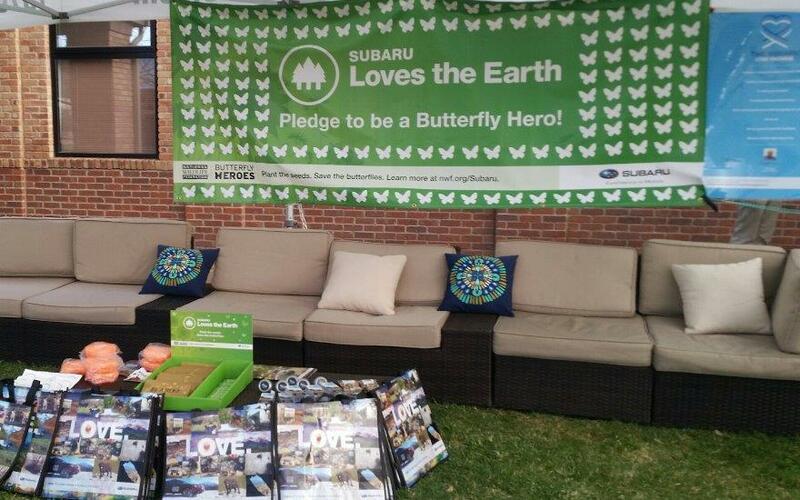 Butterflies are very important to Glenwood Springs Subaru! For Earth Day 2016, they set up and lounge at the local recreation center, hosted an ice cream social, and invited everyone to learn about why butterflies are so important! Many families came out to learn how we can make a difference and save butterflies. The butterfly starter kits and seeds were very helpful. It was wonderful to see the community come together, learn about a great cause, and leave with the tools to make a difference! 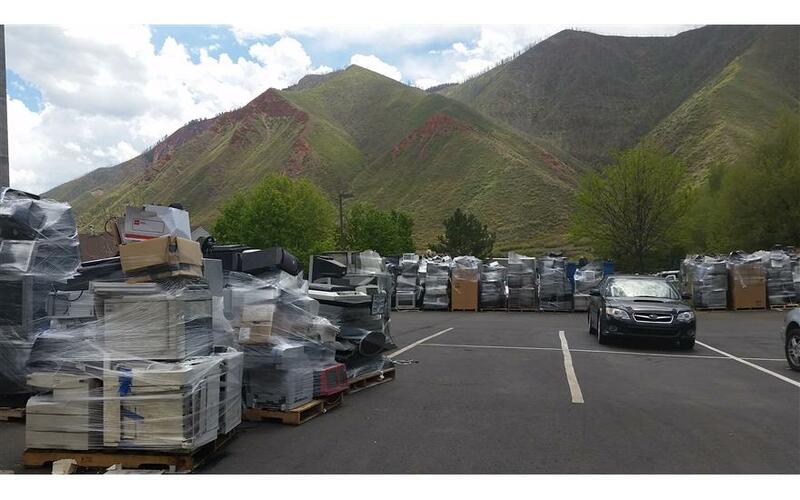 Glenwood Springs Subaru in April collected more than 100,000 pounds of electronic goods for recycling during its Subaru Loves the Earth E-Waste Recycling Event. The West Glenwood dealership estimates that 1,500 people brought in electronic waste. All told, it was five box trucks and two semi-trailers of waste. Glenwood Springs Subaru partnered with Challenge Aspen, a local organization that provides opportunities for people with disabilities. We were very fortunate to volunteer at one of their week long camps through one of their divisions, Challenge Aspen Military Opportunities. C.A.M.O. provides adaptive and therapeutic recreation, wellness and cultural experiences for injured/wounded warriors with cognitive and/or physical disabilities. C.A.M.O. provides tools and skills for injured/wounded service members, veterans and their families to help realize their life potential, bridging the gap between injuries and moving forward with their new normal life. Together we were able to provide the possibility for 12 women to come to Snowmass Colorado and experience everything C.A.M.O. has to offer. During the week they were able to enjoy world class ski conditions, ski instructors, equipment, meals, therapy sessions, and coaching. One point in the week a local salon pamper the women by styling hair, nails, and makeup before a banquet dinner held to honor them. Throughout the week lifelong relationships were made, wounds of the past were healed, and everlasting memories were made. We continue to stay in touch with some of the women from this camp. We hope to raise awareness about the program and provide the opportunity for more women in future years. Glenwood Springs Subaru partnered with Challenge Aspen, a local organization that provides opportunities for people with disabilities. 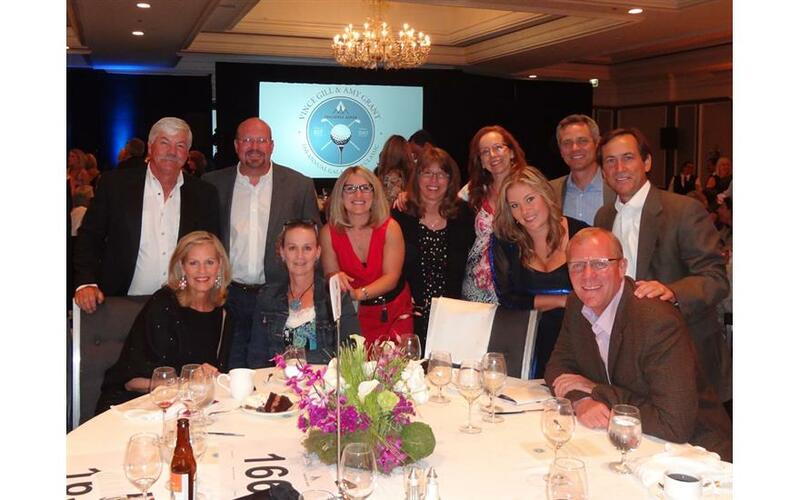 We were very fortunate to volunteer at one of their week long camps through Challenge Aspen Military Opportunities. C.A.M.O. provides adaptive and therapeutic recreation, wellness and cultural experiences for injured/wounded warriors with cognitive and/or physical disabilities. C.A.M.O. provides tools and skills for injured/wounded service members, veterans and their families to help realize their life potential, bridging the gap between injuries and moving forward with their new normal life. 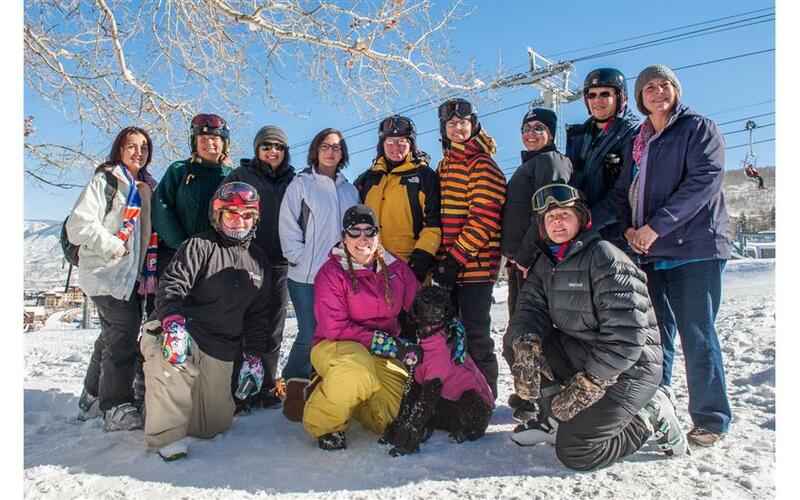 Together we were able to provide the possibility for 12 women to come to Snowmass Colorado and experience everything C.A.M.O. has to offer. During the week they were able to enjoy world class ski conditions, ski instructors, equipment, meals, therapy sessions, and coaching. One point in the week a local salon had offered pamper the women by styling hair, nails, and makeup before a banquet dinner held to honor them. Throughout the week lifelong relationships were made, wounds of the past were healed, and everlasting memories were made. We continue to stay in touch with some of the women from this camp. We hope to raise awareness about the program and provide the opportunity for more women in future years.